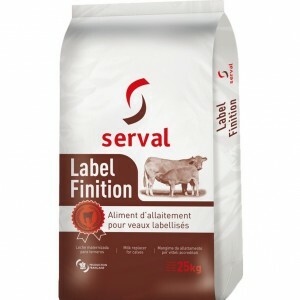 LABEL FINITION enables a regular finishing of calves (fattening, muscular growth). 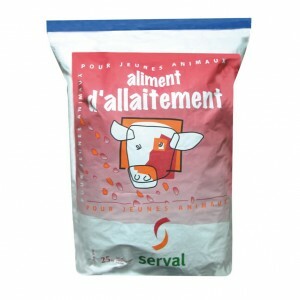 Safe feed for veal calves. Product designed to enable farmers to produce their own veal calves. Feed that can be used as a supplement or to replace the mother's milk for a nursing breed. SERHEPAT 2 brings calcium in order to facilitate the coagulation of feed with skimmed milk powder and adjust the frequent deficiencies of feed without skimmed milk powder. SERHEPAT 2 plays a major role in the metabolism of fats thanks to its choline and sorbitol intake . SERHEPAT 2 restarts animals appetite. 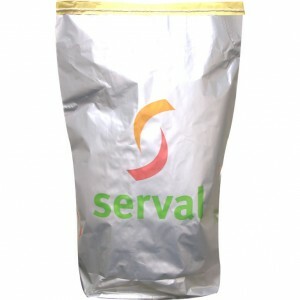 SERVALOR SP is used during critical growth stages and weaning. SERVALOR SP maybe used in self -service or rationing (during 15 first days of life). Thanks to a natural palatibility, it helps a quick and regular consumption of the first age feed.